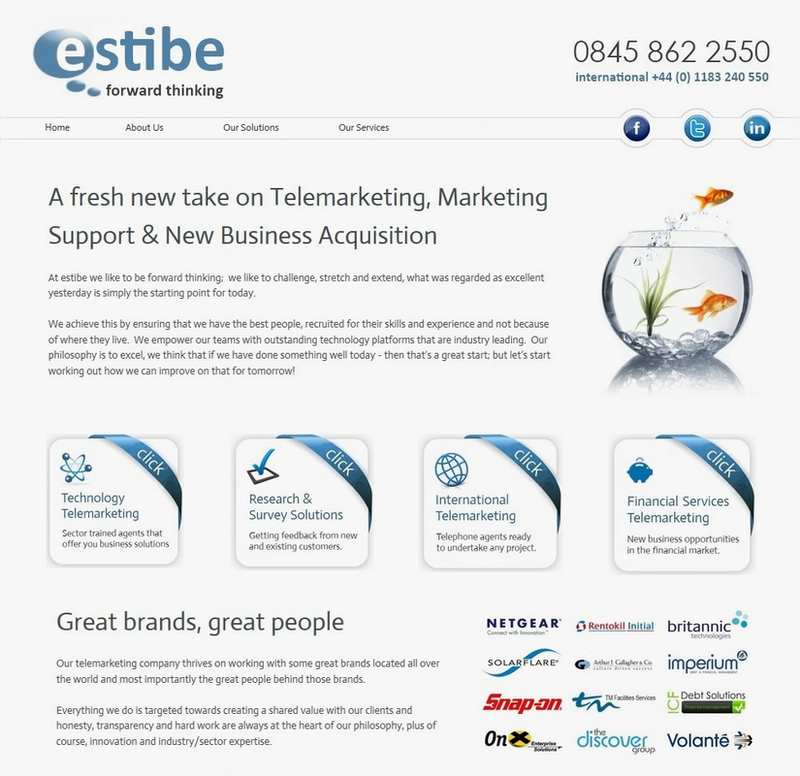 Founded by Tim Beck, Estibe are a telemarketing company based in Weybridge, Surrey. Using the very latest technology, Estibe Telemarketing are at the forefront of their field. Estibe based in Weybridge, Surrey wanted a complete re-brand from the ground up. Starting with a logo, Venture quickly moved on to designing the website around the new branding. Estibe wanted a current website with clear messaging and eye-catching reference points for potential clients.